With the IDC predicting that by 2018 more than half of all enterprise IT workloads will be based in the cloud, Calabrio CEO Tom Goodmanson explains why former doubters should consider this approach for their contact centre platform. Recent Gartner research suggests that, by 2020, 20 billion devices will be connected to the web. This number far exceeds the number of humans on the planet, and brands are already seeing the impact of these devices and machines on customer service and the customer experience. Things like chat bots and automated customer service support have evolved to the point where consumers are not entirely sure if they are talking to man or machine. As customer expectations increase, brands must deliver a great experience with every interaction, regardless of whether that interaction is with a person or an automated system. The ability to deliver multiple types of support anywhere and at any time is leading to changes in the way businesses structure customer support offerings. According to the CCIQ Executive Report on Cloud Contact Centre Technology, just one year ago, 80 percent of contact centre solutions were deployed on-premises. However, that number is changing dramatically and, in the next year as more brands look to deploy cloud-based technology, it will drop to 44 percent. This change is a result of shifting perceptions around cloud-based solutions, opening the door for rapid adoption. Where on-premises solutions once ruled, businesses are rethinking technology strategies and embracing the flexibility, scalability and security offered by the cloud. In contact centres, the cloud has facilitated digital transformation and the ability for brands to modernise the customer and employee experience by offering multiple channels of communications for customer service, as well as an improved employee experience. One of the initial barriers to cloud adoption was data security and privacy. In the past, when businesses housed customer data on-site, the IT team felt they had more control. They knew where their data was and the exact security measures that were put in place to protect it, and were hesitant to give up that control to cloud service providers. However, as the cloud has become integral to business operations, the stigma that surrounded the cloud and its security has dwindled. Recent research shows 64 percent of IT professionals now say the cloud is more secure than legacy systems. 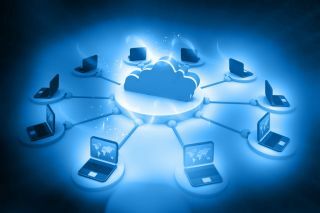 The move to the cloud allows contact centres to examine and address legacy gaps within their IT environments. The typical contact centre IT infrastructure is built over time using a mixture of technologies, and it’s a big challenge for IT to make varying systems work together. The cloud can offer a single, coherent experience which reduces the time spent on integration and increases the time spent helping the business perform at its best. In addition, because cloud infrastructure is designed to optimise and secure data exchange, abandoning the patchwork technology stack approach to IT actually increases data security. The cloud helps companies avoid the risk of gaps between overlapping elements of IT, and can provide visibility and monitoring to track data and users, to identify threats. Overall, the cloud approach not only alleviates strain on IT resources, but freeing up that time also allows IT to focus on parameters and user activity to increase security. According to a ContactBabel.com report, the average annual attrition rate for contact centre agents is 33 percent, which is a staggering number that significantly impacts business. Aside from the disruption to operations and staffing, unhappy, apathetic agents can substantially hinder a brand’s goals of creating a great customer experience. To prevent this type of turnover and overall agent unhappiness, it is imperative for contact centres to provide an employee experience that meets the requirements and preferences of the modern worker. Luckily, the cloud can help keep employees motivated, happy and engaged. With the ability to support work/life balance and empower agents to work when, where and however they prefer, contact centres can tap into cloud-based solutions and give access to all data and applications from anywhere, anytime. Like any industry, the demand placed on a contact centre waxes and wanes, and seasonal changes have a massive impact on the amount of inquiries a particular centre receives. To support the influx, businesses hire temporary staff to help manage the load and accommodate those variances. Thus, contact centres need a flexible platform that can accommodate seasonal changes in usage, which is often challenging when locked into traditional on-premises software licensing agreements. With the cloud, contact centres can scale up or down to accommodate customer demand, so they no longer need to worry about overpaying for licensing during the rest of the year. The impact of this is tangible, and customers are happier thanks to shorter wait times due to more knowledgeable staff at the end of the line who have the right tools at their disposal to provide a seamless customer experience. Regardless of enabling technology, modern contact centres should have a single focus: helping their customers. Whether customers are speaking to a human or robot, every interaction is a chance to shape their perception of the brand, for better or worse. It is especially important as customers expect and demand a self-service model where they can choose when and how they receive support. The modern contact centre is multi-channel, global and “always on,” and it requires a flexible platform to meet the needs of the modern customer. There is no clocking off and leaving problems for the next day, and IT systems need to enable this new way of serving the customer. Today, the average contact centre handles up to nine communication channels including web, chat, phone, email, text, social media and mailed requests. While customers are modernising their communications approach, the contact centre is often using antiquated technology. By moving to a streamlined, cloud-based system, contact centres can equip staff to solve problems on the channels that customers want, not the channels that technology mandates. The cloud provides contact centres with the flexibility needed to meet new customer and workforce expectations, and helps future-proof against new innovations and channels. By adopting scalable, secure cloud offerings, businesses can provide customers a faster, more enjoyable experience that keeps customers coming back.